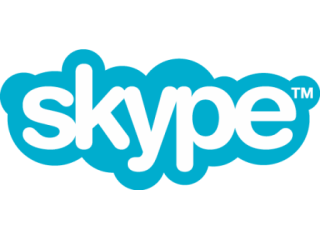 Skype has announced it has now added an Android application to its mobile platform. Users packing an Android phone running 2.1 or above can download the application from Google's App Market now, and will be offered a bevy of VOIP features. Skype to Skype calling is obviously included, allowing free calls over Wi-Fi and 3G in the UK, as well as IM chat with multiple friends at once and the ability to update your profile from the handset. Another neat feature is the ability to sync friends on Skype with your contacts on the phone, much like Facebook and Twitter in some cases, meaning you can call or IM directly from their profile. 'EDGE might not be the best for Skype-to-Skype calling, as there might be quality issues. "However, your IM will login, and Skype will still be present in the notifications bar to show when it's connected." "We wanted to give our customers an optimal experience. Our codec offers very good quality audio, and to produce the quality we want needed to target handsets with bigger processors. "We recommend CPUs working at 600MHz or more, which is all but the HTC Hero for Android 2.1, so users may have some slight issues with the [call] quality on that handset." Skype on Android joins the service that's already available on the iPhone and Symbian handsets, as well as specialised handsets from INQ. However, given that Skype calls can take around 1MB of data per minute to chat over the internet, it's important you have the right data plan else you can get hit with some hefty charges.